The origin of the word Yeosu means good or beautiful water – which is a perfect way to describe this city. 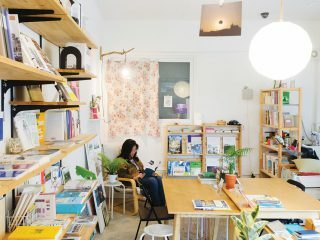 Many Koreans agree that this name refers not only to the city’s pretty coast, but also to the warm current, which allows for mild weather, even in the wintertime. Throughout the year, residents and visitors can enjoy comfortable weather and beautiful views. Situated on the southern coast of Jeollanam-do, Yeosu is the perfect city to visit for a fun weekend getaway. With plenty of beaches and hiking spots located within the city limits, Yeosu is especially worthwhile to visit during the summer months. It has a mix of gorgeous countryside and fun city living. Since serving as the host for the 2012 Expo, this area has grown in popularity over the years. As a coastal city, it has a lot to offer, and it’s no wonder so many people choose to live and vacation here. Only a short distance from the main city, there are a number of great beaches to visit in Yeosu. Your choice of beach depends on what kind of experience you’re looking for. If you want to go for a nice stroll and would like to have many nearby lunch options, Ungcheon Beach is a good choice. If you prefer a relaxing and quiet area, Mosageum Beach is the perfect spot. This is a great place to sit back and have a picnic lunch. If you’re in search of a busier and more popular beach area, Manseongni Beach is known for its unique black sand and is frequented by many locals. No matter which beach spot you choose, you will enjoy the views and relaxation. It’s recommended that you plan to see a beach sunrise while visiting Yeosu. In 2012, Yeosu hosted an International Expo. It lasted for three months and was a big event for South Korea. More than 105 countries took part in this experience. The area where the event was held now stands as an attraction for both locals and visitors alike. There is a park area, several restaurants and cafés, and a walkway that leads around the waterfront. On a busy day, you may spot Yeony and Suny, the official mascots of Yeosu. You can meet and greet and get your photos taken with these cute creatures. If you want a panoramic view of this area, stop by the Sky Tower, which is located by the Expo. What looks like a normal tower during the daytime is lit up like a rainbow during the night hours. At the top floor of this tower, you can enjoy a coffee or a snack while you get a bird’s-eye view of the Expo area through the café’s windows. Yeosu is a great place to take your family. If you’re searching for a kid-friendly activity, be sure to stop by Yeosu Aqua Planet, an aquarium located by the Expo. Here you can get up close and personal with some exotic sea life and adorable creatures. You will find jellyfish, penguins, sea lions, beluga whales, piranhas and much more. This aquarium even has underwater performances – featuring mermaids! The Ocean Resort Waterpark is another place that families frequent during the summer months. With wave pools, slides, and spa services, there’s something for visitors of all ages. You can stay at the on-site hotel to make a whole weekend of it. For many families, a trip to this waterpark can be a summer vacation in itself. If you want to see the vast beauty that Yeosu has to offer, it’s recommended that you check out the most popular sites in a number of ways. If you’re planning an afternoon adventure, why not head to the gorgeous island of Odongdo. There’s a walkway leading to Odongdo for easy access. For those who don’t wish to walk, a tram can be taken. In this area, you can enjoy the water fountain, beautiful walkways, and the Dragon Cave. While on the island, you can also explore the bamboo forest and lighthouse. 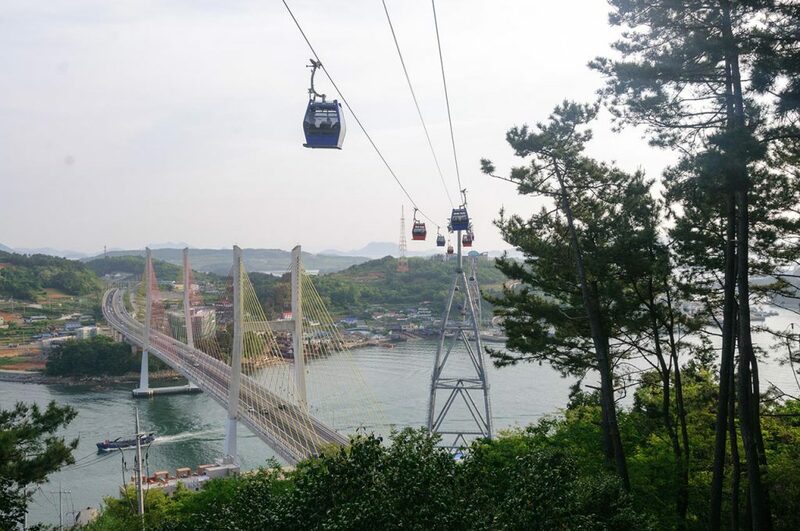 If you want to get a stellar view of Yeosu from up above, be sure to ride the Yeosu cable cars. The glass-floored cars will offer a view like none other! As you ride, you’ll be making your way to the island of Dolsan. This is a large island, full of adventures to be had. 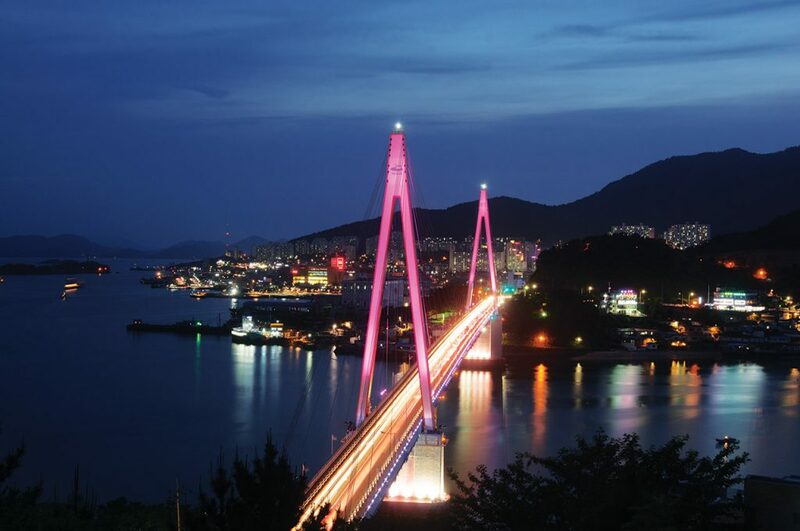 If visiting in the evening, you’ll see the Dolsandaegyo Bridge all lit up in a colorful display. It really looks amazing alongside the city lights. With a climb up to Dolsan Park, you can get a stunning view, while also getting some exercise. The view is especially beautiful on a clear night. 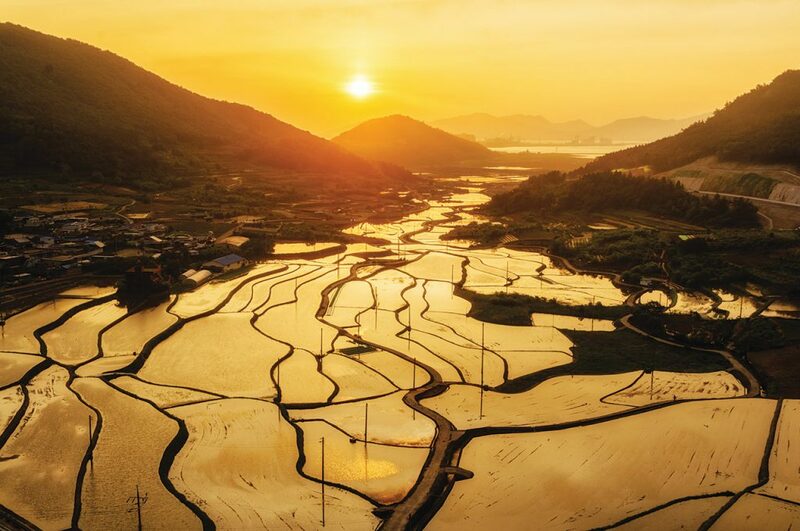 Yeosu is more than just its scenic coastal views and endless islands. This city is also full of unique history. Yeosu played a big part in the Imjin War. In 1592, the Japanese invaded Korea along the southern shores. The Turtle Ship, or Geobukseon, was an armored ship with a turtle-shell-like top, which helped to protect the crewmembers. Admiral Yi Sun Shin is credited for creating this ship as well as leading Korea towards victory. In the Jungang-dong area of Yeosu, you can see a replica of the Turtle Ship. Jinnamgwan Hall, which served as the headquarters for Admiral Yi Sun-shin and his crew, can also be explored. 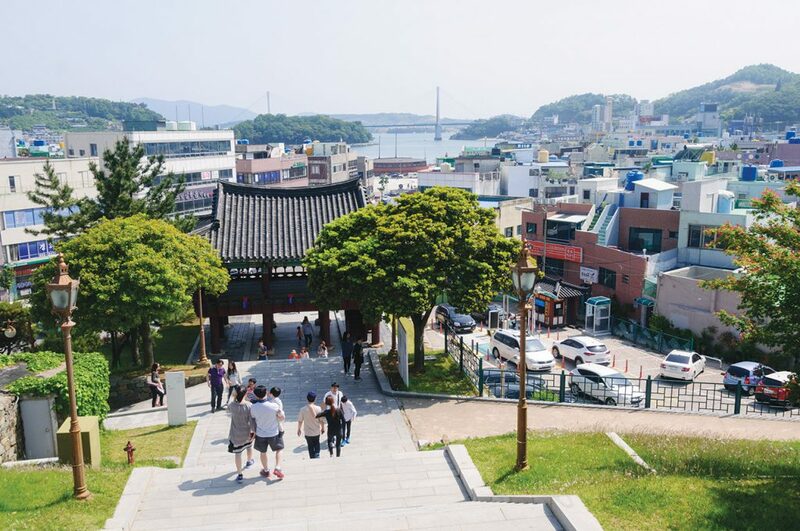 If you’re looking to learn more about Yeosu’s history and culture, the small on-site museum can be visited. Jinnamgwan Hall is located about a five-minute bus ride from the Yeosu Expo area, and is situated near a shopping district. 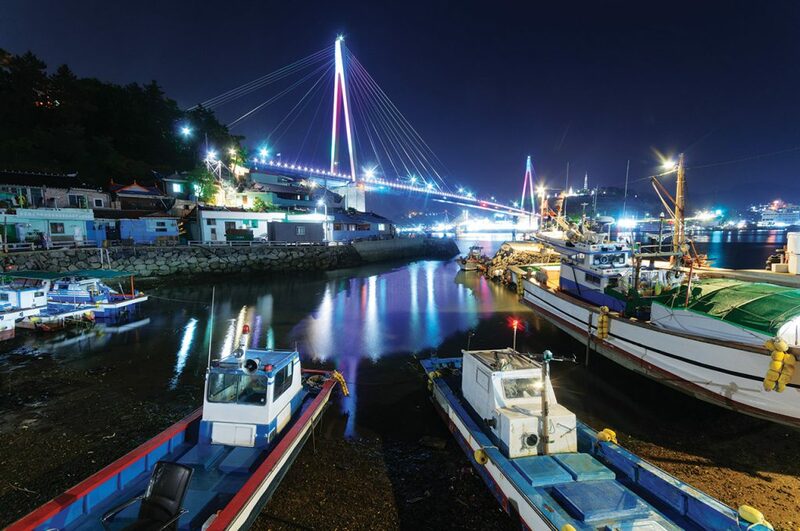 Sure, Yeosu may not be a metropolis hub like Seoul, but this small coastal city has a lot to offer. 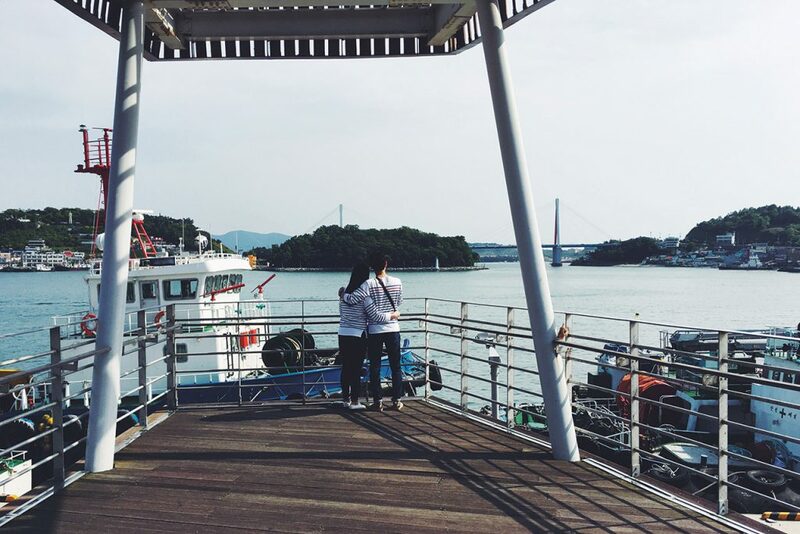 If you’re planning a weekend getaway for the upcoming summer months, Yeosu is the perfect place to visit and explore. STAY> There are a lot of hotel options throughout Yeosu. If you want to stay close to the Expo area, the MVL hotel is a popular hotel choice. The Ocean Resort is another top-rated hotel – especially for those who plan to visit the water park. 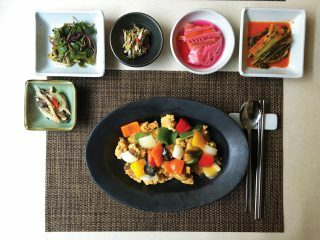 EAT> There’s no shortage of seafood in Yeosu. Why not enjoy some grilled eel or sashimi while you’re visiting. This city and the surrounding areas also have a unique style of kimchi, known as Dolsan Gat Kimchi. These mustard leaves are known for being less spicy and having a unique smell. The warm climate and alkaline oil in Dolsan contribute to this. Give it a try! GO> The fastest and easiest way to get from Seoul to Yeosu is by train. To get to Yeosu, ride the Seoul subway to Yongsan Station. Take the KTX to Yeosu Expo Station. Total trip time to Yeosu Expo Station is just under 3 hours. City buses and taxies make it easy to explore the various parts of Yeosu. You can also take ferries to the multiple islands.